For the past eight years Benjamin Rusnak has documented poverty in the Caribbean and Latin America for Food For The Poor, Inc., an international relief and development agency. 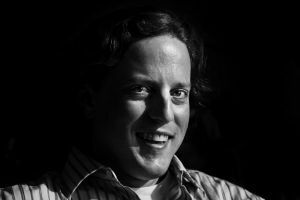 Prior to that, he was a newspaper photojournalist for nearly 10 years, having worked for the Fort Myers News-Press and interned for Agence France-Presse, the Indianapolis Star and the Ann Arbor News. His work has been recognized by Pictures of the Year International, the Best of Photojournalism, the Atlanta Photojournalism Seminar, the Gordon Parks photography competition, the Alexia Foundation and the China International Press Photo Contest. In 2005, a solo exhibition of his work with the poor was featured at the Palm Beach Photographic Centre in Delray Beach, Fla.
Benjamin Rusnak grew up in suburban Washington, D.C., where he developed an interest in topics beyond American borders and a passion for the plight of those less fortunate. He graduated from George Mason University in 1992, with a degree in communication. He lives in Boca Raton, Fla., with his wife and fellow newspaper refugee, Susan Bryant.